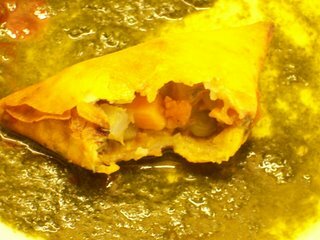 Samosa and me share tight bond of friendship from the day one I tried it. 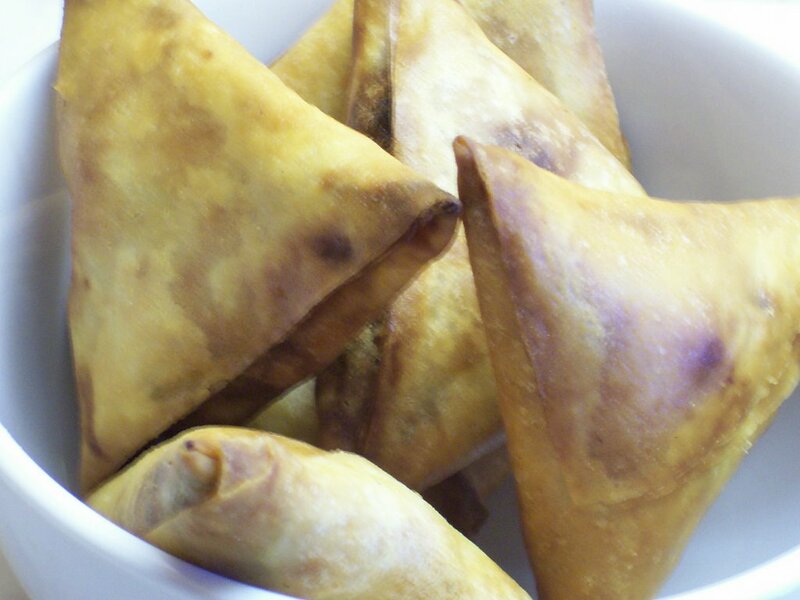 Im facinated by its shape, smell, stuffing, colour, everything. Its my most favourite snack item(I must confess, I used to eat samosa as a meal). 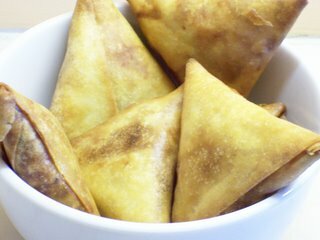 During my hostel life both in Dharwad and Bangalore, away from home food, Samosa's were the only thing which kept my spirits alive. The Mishra's were the best place to have samosa's in dharwad and in bangalore there used to come one gaadiwala who used to make this amazing samosas. 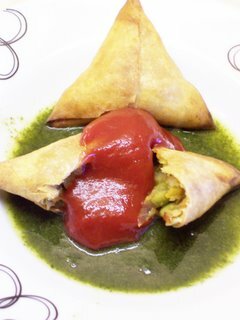 I can stop trying anyother food but never samosas:) Here is my humble recipe for making samosas at home. Add water little by little, kneading into soft pliable dough. Stir fry for 2 minutes, add all vegetables. Stir further 2 minutes. Cool them and keep aside. Make a thin 5" diam. round with some dough. Serve hot with green and tamarind chutneys or tomato sauce.